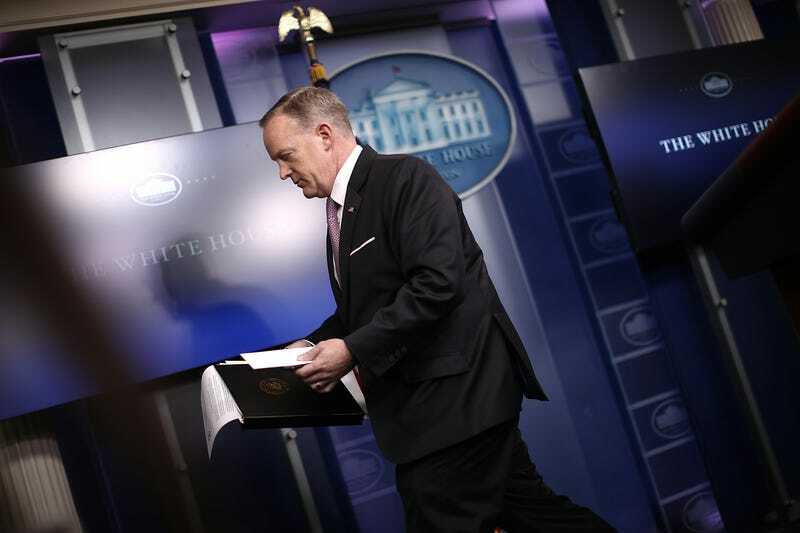 The White House briefing room erupted in cries of “Sean!” Tuesday when press secretary Sean Spicer bolted from the briefing without taking questions. You know what? I’d probably go home, too. Sometimes a man just runs out of lies.